The second annual International Cannabis and Hemp Expo (Intche) at the Burlingame Old Hyatt Cinema this weekend seeks to educate and evolve the cannabis community with celebrity speakers, live music, featured collectives and more. 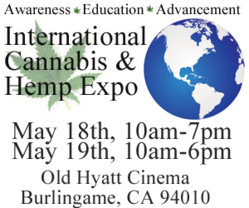 Medical marijuana patients, advocates, collectives and community members will convene this weekend, May 18 -19, 2013, at the Burlingame Old Hyatt Cinema for the second annual International Cannabis and Hemp Expo (Intche by the Bay). Along with live entertainment and tasty treats, this unique festival will also feature celebrity speakers and industry leaders such as United Patients Group, who will provide information, education and guidance about the benefits of medical cannabis. Events like these help patients keep up with the constantly changing landscape of medical marijuana and to stay in touch with a like-minded community interested in sorting fact from fiction. Speakers like Mike Hyde from the Cash Hyde Foundation, patient Michelle Aldridge and advocate Ed Rosenthal will share experiences, success stories, advice and support during the event. “We’re very excited to booth at Intche this year and to have Mike and Kalli Hyde of the Cash Hyde Foundation join us. The Hyde’s have been through so much, Mike Hyde will be sharing their family’s dramatic story about their son Cash Hyde on Saturday afternoon. Mike will also speak about the upcoming worldwide release documenting their journey in Director Kevin Booth’s documentary, “American Drug War 2: Cannabis Destiny which will be in theaters on June 6th, 2013.” said John Malanca, founder and owner of medical cannabis patient resource UnitedPatientsGroup.com. There will also be medical and legal professionals on hand to answer questions and provide medical marijuana recommendations to those 18 and over. Featured collectives from around the Bay Area will be located in the “215 Room,” where guests can sample new strains and edibles. Bands like Quino, Natural Vibrations, Tehya, The Welcome Matt, Bayonics, Native Elements, Afrolicious, Jazz Mafia, Lumanation and Bang Data will play throughout the festival weekend, and local food vendors will be on site with the best event eats. Other attractions include a glass blower and a chance to win a book signed by Ed Rosenthal during the Ed Rosenthal - Wonders of Cannabis Rolling Contest. Ticket prices to Intche by the Bay range from $15 for a one-day pass to $20 for a two-day pass. There are VIP tickets available that include amenities like VIP parking and entrance, an all-access pass to the VIP tent with catered food and beverages, an exclusive Judge’s Box packed with goodies, private restrooms, and a meet and greet with speakers, sponsors and bands. Visit http://www.intche.net/vip/ for information about how to win a VIP ticket for free. For more information about Intche by the Bay, call (650) 375-8444, email info(at)intche(dot)net, or visit http://www.intche.net. 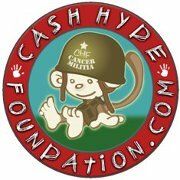 For more information about the Cash Hyde Foundation or UnitedPatientsGroup.com, call (415) 524-8099 or visit UnitedPatientsGroup.com. The best way to stay informed about developments is to “like” United Patients Group on Facebook and “follow” Untied Patients Group on Twitter. 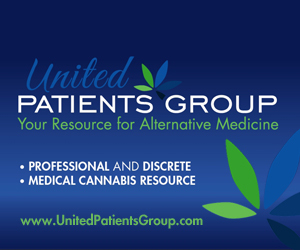 UnitedPatientsGroup.com is a discreet, safe, and professional online medical cannabis information resource for prospective and current patients, caregivers, and medicinal cannabis industry professionals. While most online medical marijuana sites cater to patients already familiar with medical marijuana, the UnitedPatientsGroup.com website is a comprehensive and easy-to-use information source for people of all ages and experience levels, from novice medical cannabis users to experienced industry professionals. The site’s News, Resource, and Blog pages introduce new patients to the ins and outs of medical marijuana healthcare, while helping experienced providers stay abreast of the latest developments in THC and CBD therapies. A complimentary Five Star-rated United Patients Group medical marijuana app is available on the iTunes app store for iPhone 3GS, iPhone 4, iPhone 4S, iPhone 5, iPod touch (3rd generation), iPod touch (4th generation) and any iPad.